This is a new blog from the Massachusetts Board of Library Commissioners about what’s happening in the library world, both at the state level and beyond. We’ll be writing about our partnership with libraries around the state, exploring the revolution in library programs, services, and building design that’s reshaping the way we do business in the 21st century. We’ll also be raising awareness about how libraries help bolster our cities and towns through early learning and literacy programs, tech training, community partnerships, and more. Whether you’re a librarian who wants to share special events or news about your library, an educator with a passion for reading or lifelong learning, or a tech employer who values 21st century skills, we welcome contributions from all perspectives. • Informal, personal writing style – like you’d expect from a blog! • Pictures and videos are always welcome. • Please note: We may lightly edit posts for brevity and tone. 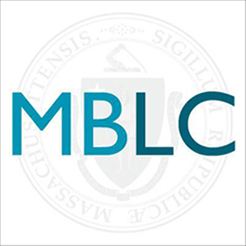 Posted on August 23, 2016 August 25, 2016 Author Celeste BrunoCategories MBLCTags libraries, massachusetts, massachusetts board of library commissioners, mblcLeave a comment on Hello world!